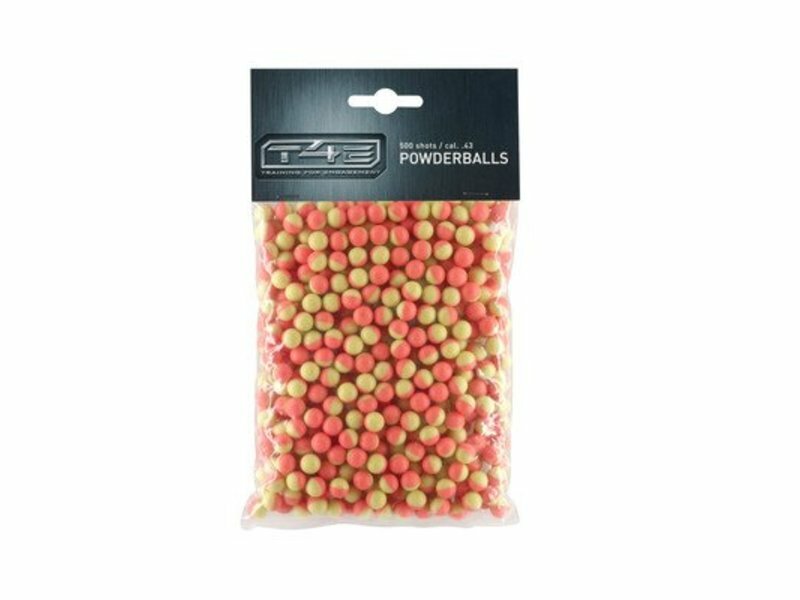 Bag of 100 .43 caliber/11mm dry dust balls! Fits all .43 caliber markers including the Kingman Eraser & Chaser training pistols and RAP4 markers. Features a waterproof biodegradable shell and high visibility, and a non-toxic, non-staining powder fill. 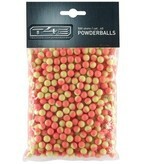 Creates a cloud of 'dust' on impact! 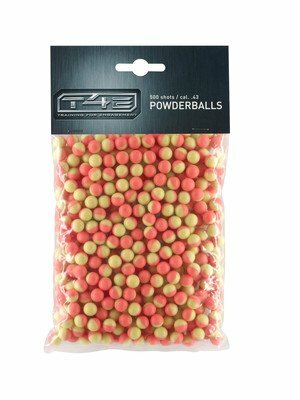 Unlike normal Paintballs, these Powderballs can be stored and used in extreme temperatures (unlike Paintballs!). 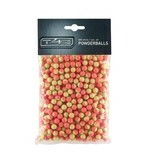 Bag of 100 balls. Two-tone pink and yellow shell.